“I had knee pain with every step I took…” Lisa is a traveling consultant. Every trip she planned promised her more pain. She tried surgery, twice, with worse results each time. 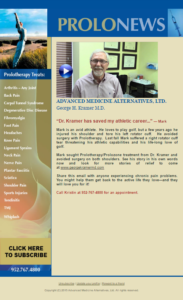 Desperate, she tried Prolotherapy / Prolozone treatment and found amazing results.